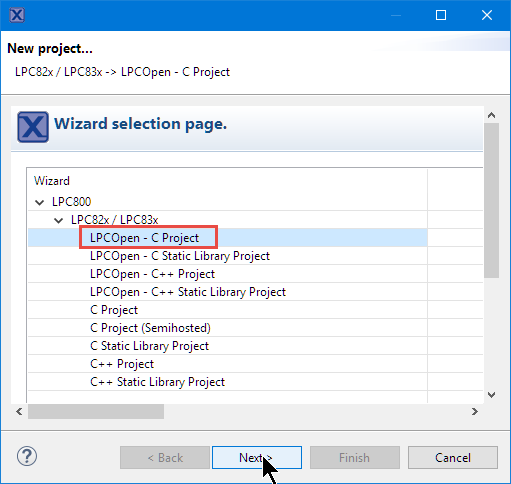 This article shows to run a first ‘blinky’ (toggling LEDs on the board) on the LPC800-DIP board using Eclipse (MCUXpresso IDE) and the NXP LPCOpen library. 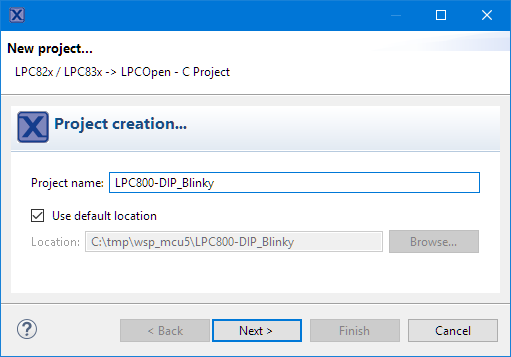 💡 The LPC800-DIP board does not contain a debug interface, but the USB-2-UART bridge which can be used with the FlashMagic (by Embedded Systems Academy) tool to program binaries. As I want to debug my application, I’m not using this tool in this article. It has the LPC824M201JHI33 on it (32 bit Cortex-M0+, 32 KByte Flash, 4 KB RAM) in breadboard friendly pin out. 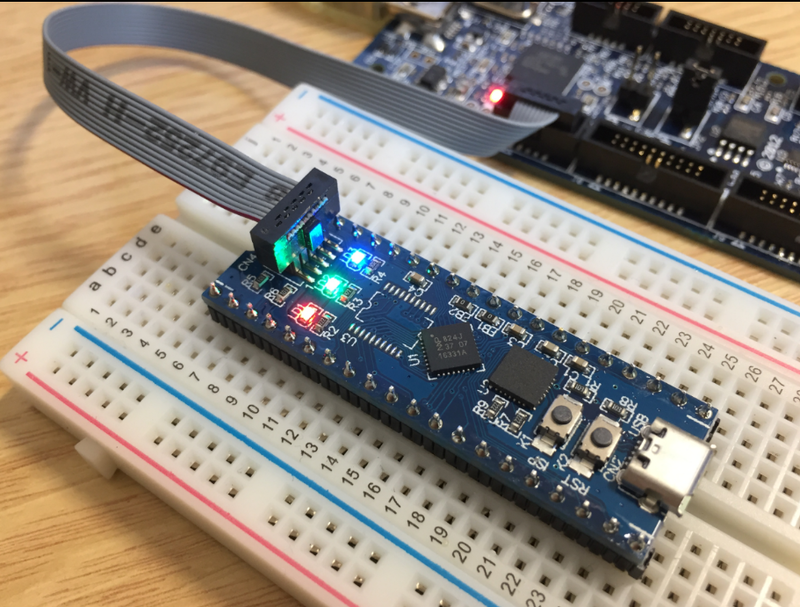 The microcontroller can be programmed using SWD or through the Silabs CP2102 UART-USB bridge: with pressing the ISP button I can program the device through the USB connection to the host and the FlashMagic utility. 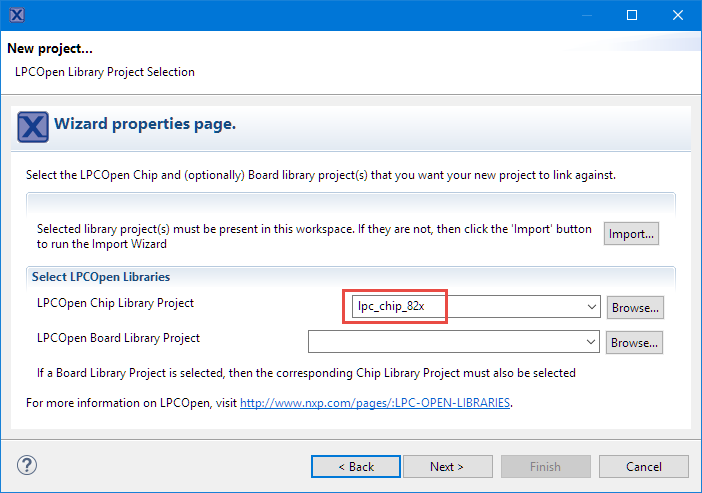 The ‘chip’ library as the name indicates supports the given chip. 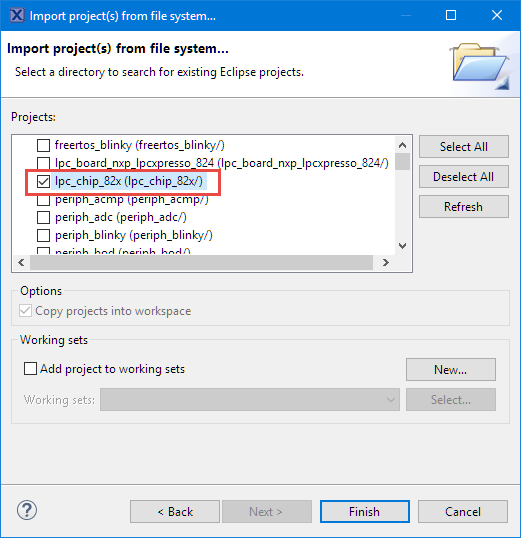 I could as well import the board library (but that one would be for that board) or the example projects. For my blinky project all what I need is the chip library and I will do my ‘board support’ for the LEDs. The LEDs are connected with the cathode side to the microcontroller. So this means I have to put the ping LOW to turn then LED on (the LEDs are LOW-ACTIVE). 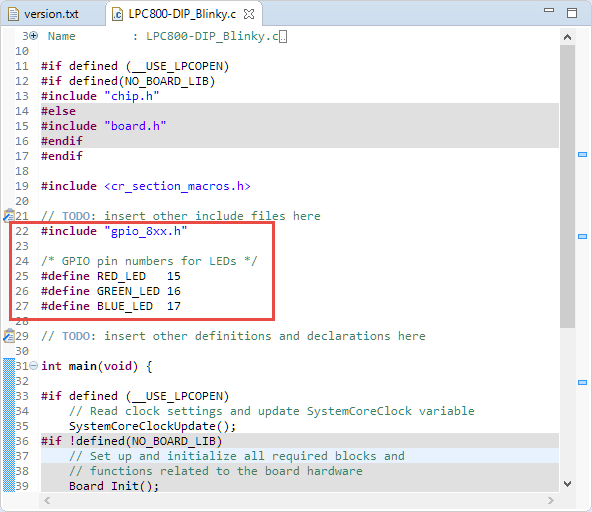 This includes the header file for the GPIO peripheral, and I have added defines for the GPIO pins used by the three LEDs. Initialize them with a logic HIGH level. The LEDs are LOW active, so putting a HIGH (or TRUE) will turn it off. This should build without any errors :-). The board has SWD/JTAG header. 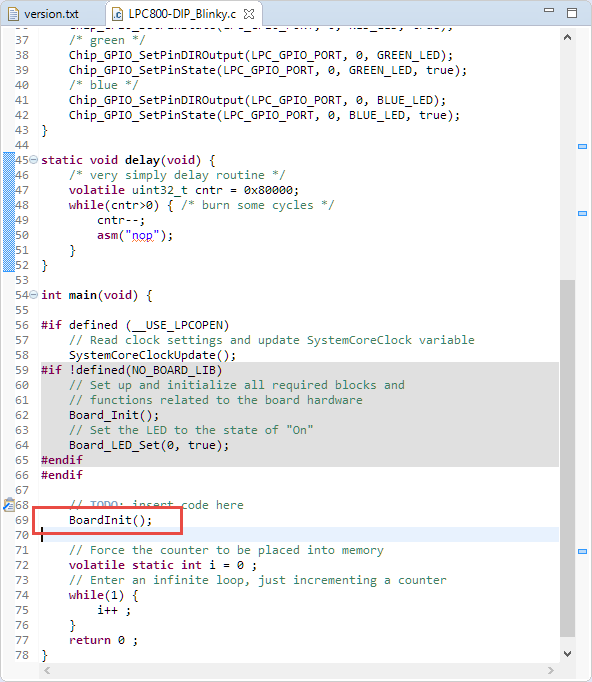 I prefer this way and do not program the board with FlashMagic tool, because that way I can debug it. 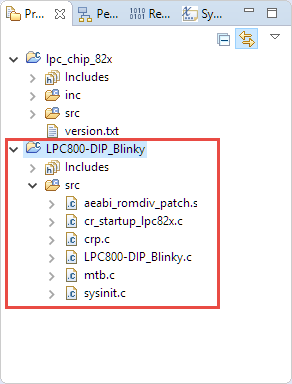 But this requires a SWD/JTAG probe like the LPC-Link2 which I use here. Connect the SWD cable to the SWD header on the LPC800-DIP board. In the bove case I have the jumper JP2 on the LPC-Link2 set, so I power the board from the LPC-Link2. 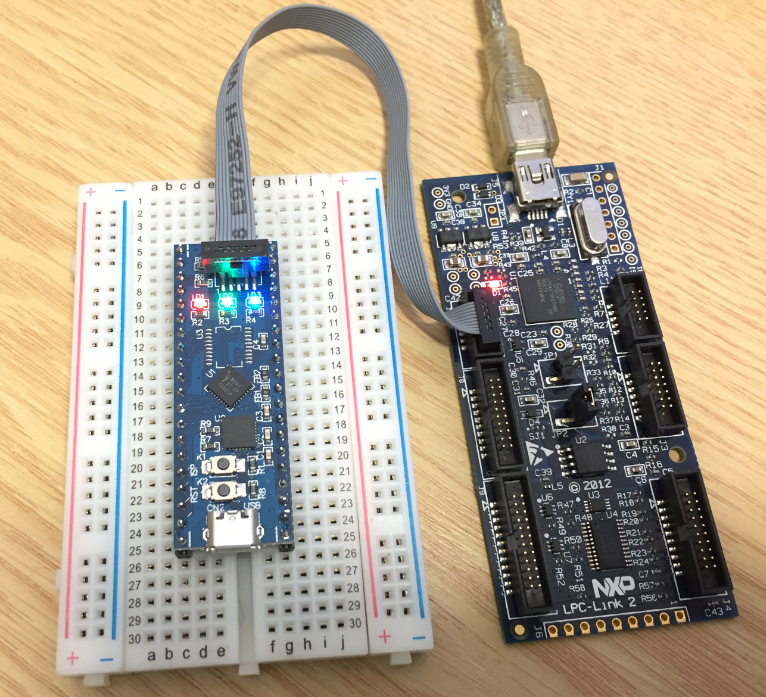 If using another probe, you might need to power the LPC800 board with its micro USB cable. 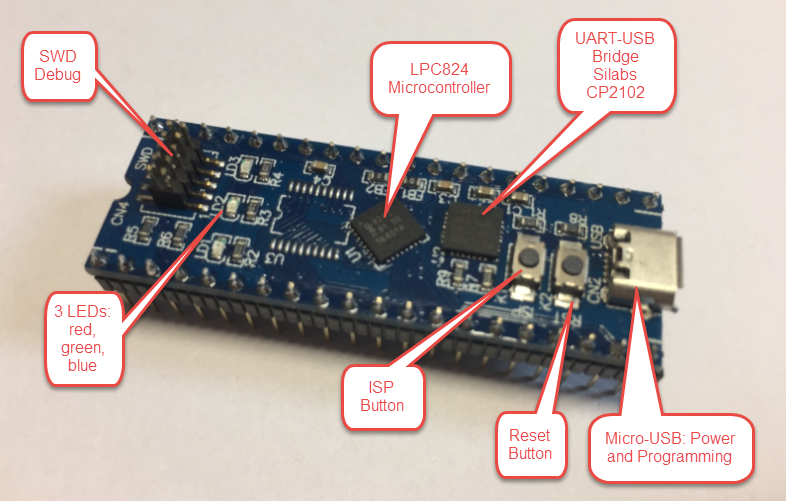 The LPC800-DIP board is a small and bread board friendly development platform with a Cortex-M0 on it which makes it ideal for smaller projects. 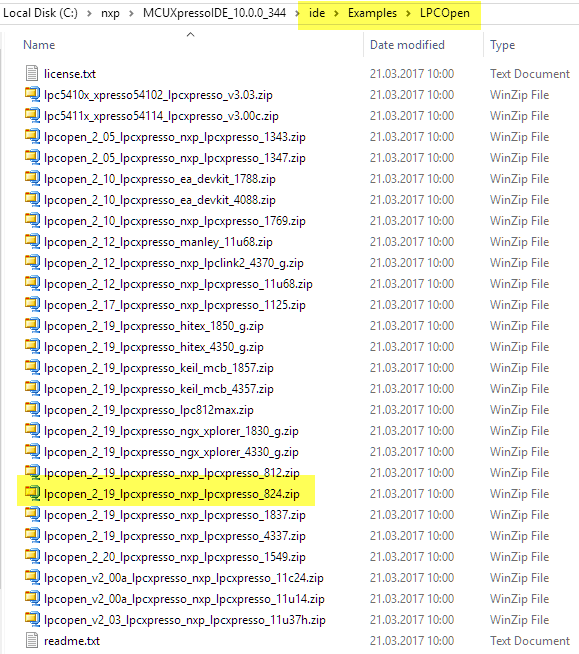 For the LPC8xx series there is no MCUXpresso SDK (yet?). 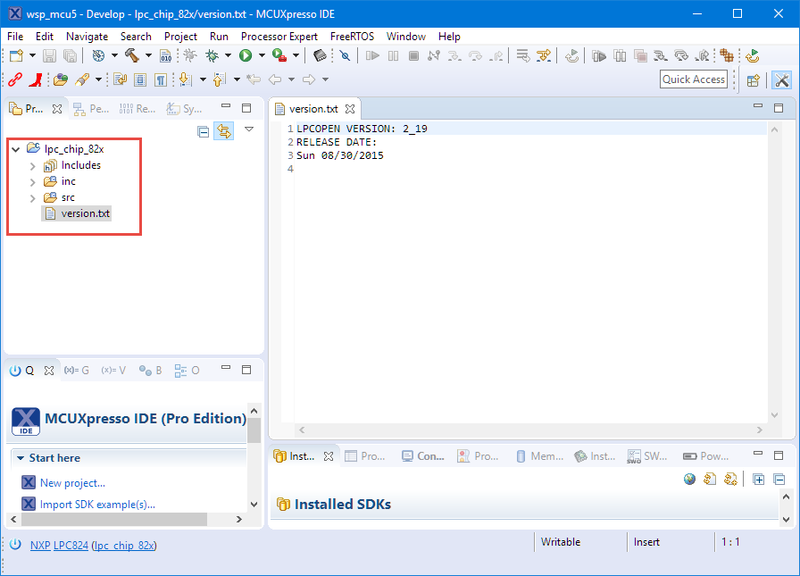 But MCUXpresso IDE comes with the LPCOpen SDK which makes the implementation of a blinky possible in a very short time. 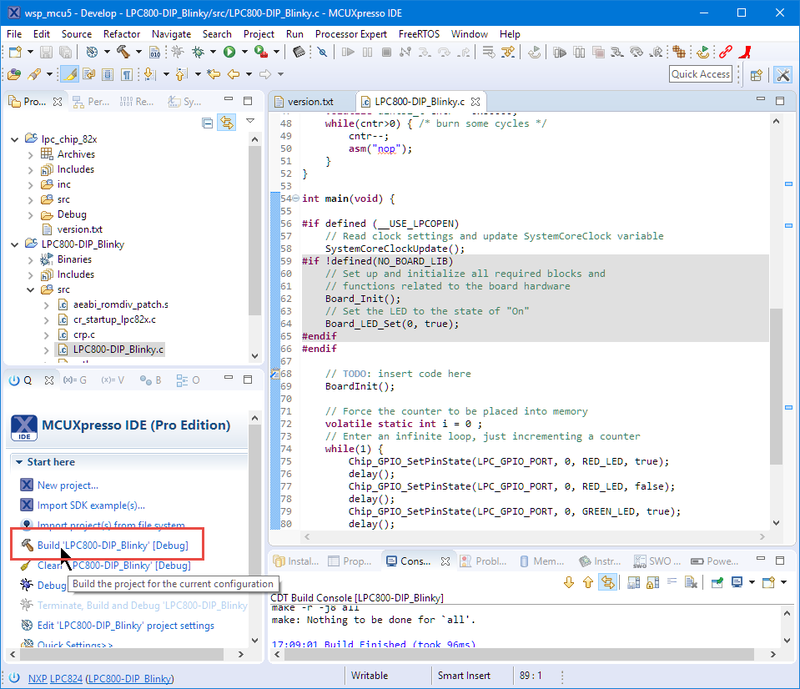 I appreciate that it has a SWD debug header so I can use it with my favorite JTAG/SWD debug probe and Eclipse. 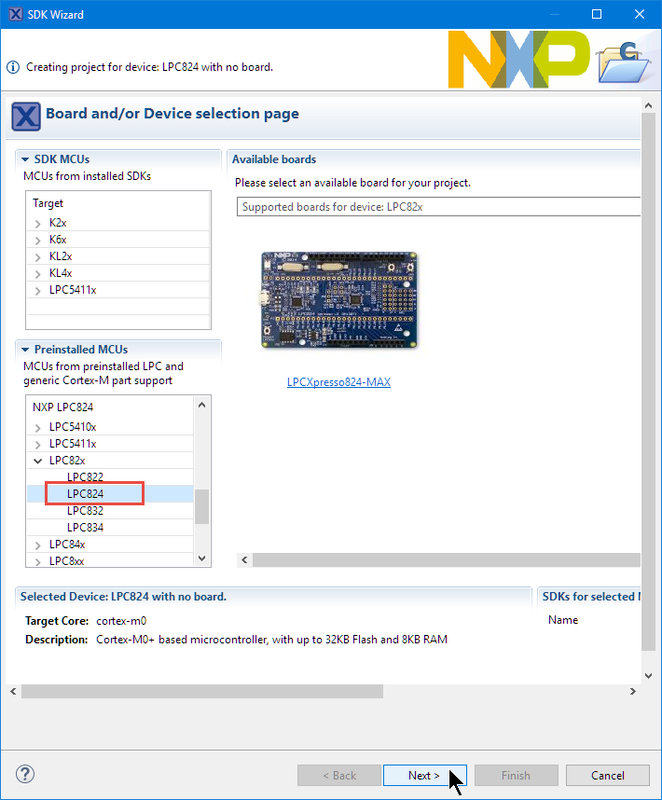 I have been told by NXP that the LPC800-DIP board is not available for sale (yet?). 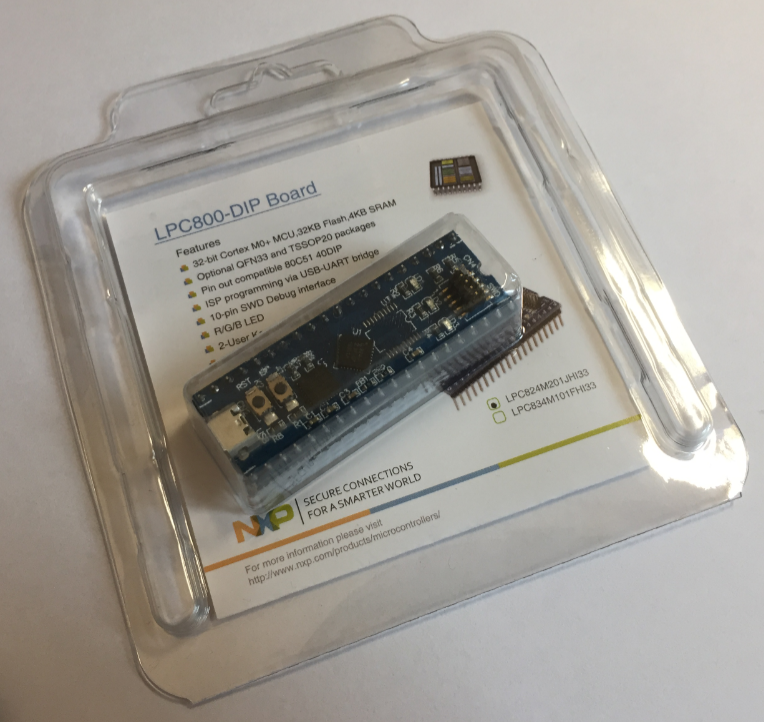 NXP gave away many of these boards at the Embedded World 2017 show in Germany, so you might have been lucky and have a board on your desk you can use with this tutorial (or any other LPC800 board). 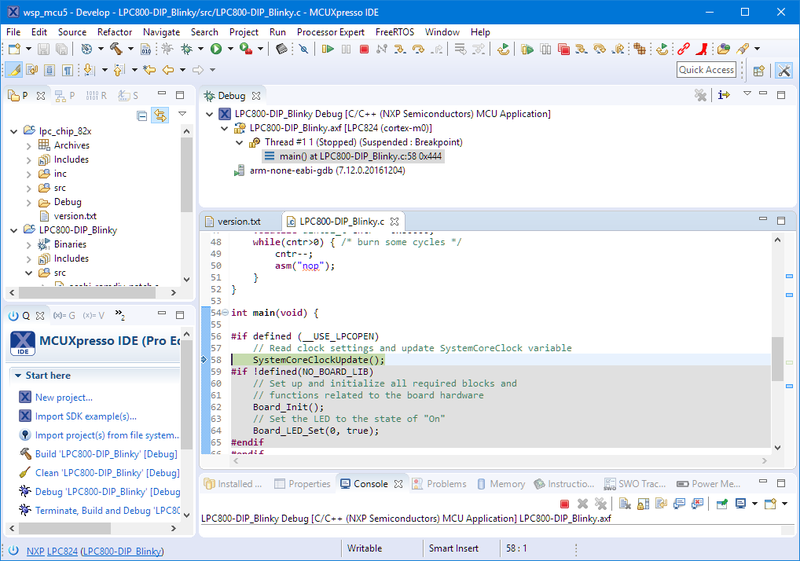 This entry was posted in ARM, Boards, Building, CPU's, Debugging, Eclipse, Embedded, gcc, LPC, LPC, LPC800-DIP, LPC800-DIP, Tips & Tricks, Tutorial and tagged arm gcc, Building, Debugging, Eclipse, Flashing, gnu gcc, LPC, LPC-Link2, LPCOpen, NXP, open source projects, software, software project, technology, Tips&Tricks by Erich Styger. Bookmark the permalink. asm(“nop”) will be optimized away depending on optimization settings; best not to do that or you’ll get different delays depending on options…. I 100% agree with what you say as a general statement. But I disagree in this case :-). If a compiler would touch my inline assembly code and remove it, then I would flag this as a serious bug, even for a NOP. Second, the cntr variable is declared as volatile to ensure the compiler treats it as a ‘hot potatoe’ and does normal ‘load-and-store’ and does not keep it in the register. You are correct that the exact timing still will depend on the optimization level. But the compiler will never be able to remove it. 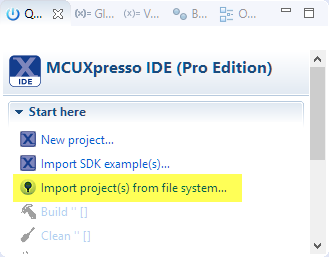 I have checked that example with the gcc in MCUXpresso IDE and even with -O3 that NOP and counter loop is kept, as I expect it. Thanks for raising that excellent point! But I don’t know what compiler you are using supports it. I’m using one of the latest GNU for ARM Embedded. 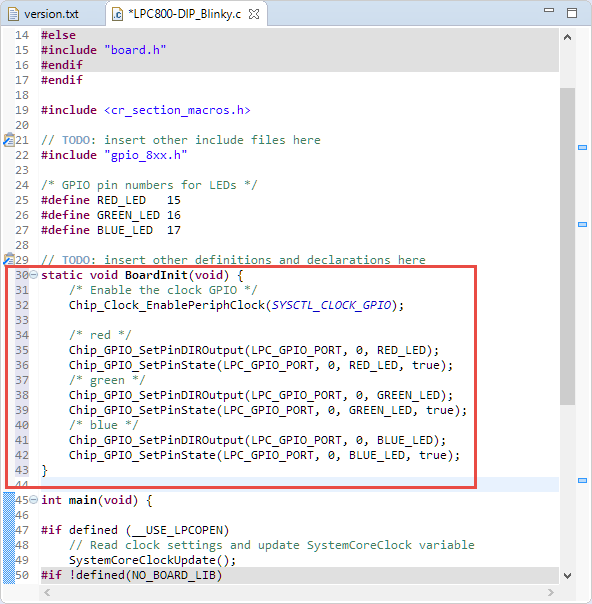 And yes, you are correct, the most correct way would be to use __asm volatile ("nop\n"); and GCC (at least the version I’m using: GNU Tools for ARM Embedded Processors 5 – Q3 2016) supports it. 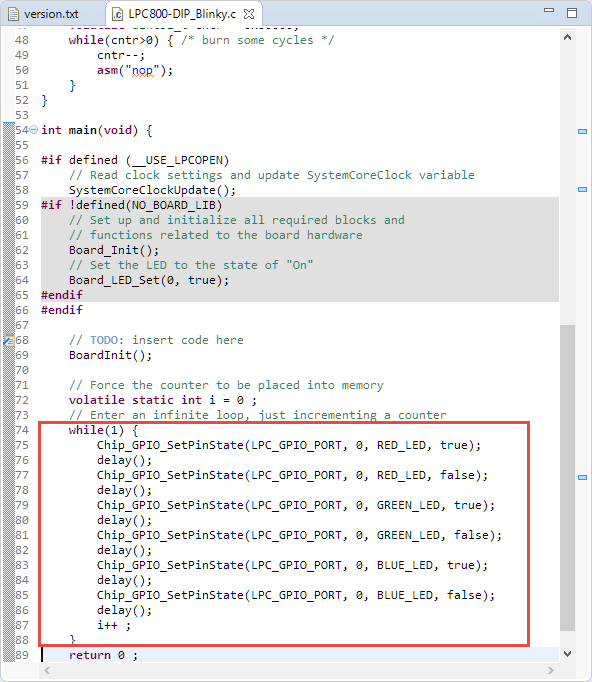 Also, regarding the delay, you may find interesting how arduino went to great lengths to get cycle precise delays. 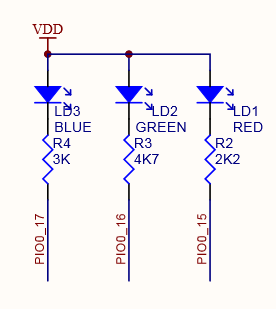 How similar is programming this board to programming the LPC1347 board? 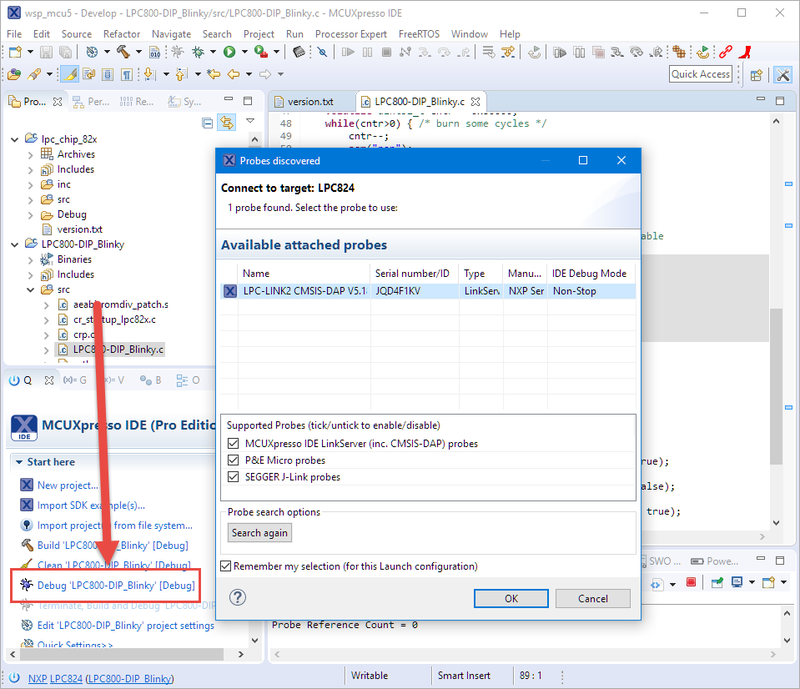 If using the SWD/JTAG connector, programming is the same. 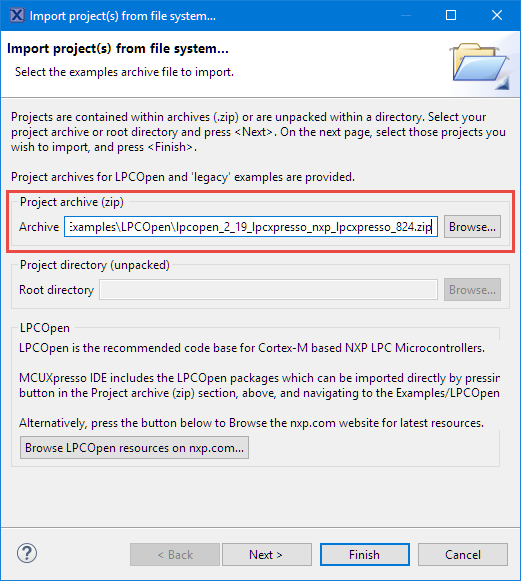 The LPCXpresso board for LPC1347 (I assume the http://www.nxp.com/products/software-and-tools/software-development-tools/software-tools/lpcxpresso-boards/lpcxpresso-board-for-lpc1347:OM13045) has the advantage that it has a LPC-Link debug circuit on it. I have three of those boards ordered. Thank you for the advice. I’m doing the “same” example using the LPC1343 board. 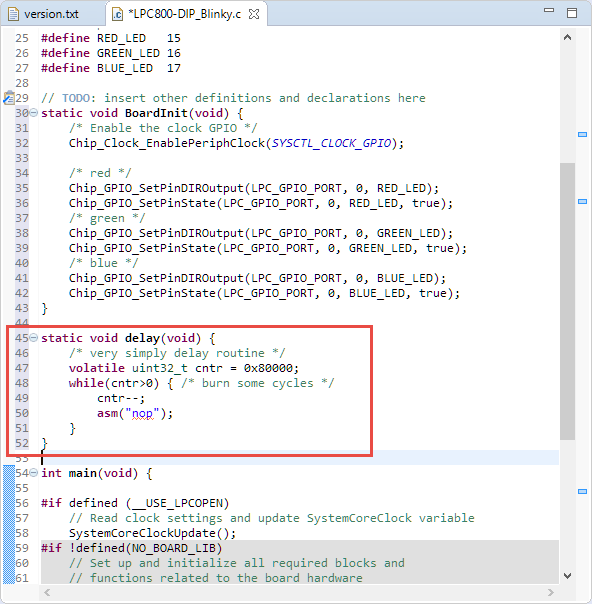 I want to understand how may cycles (wasting nop) generate a 1ms delay. 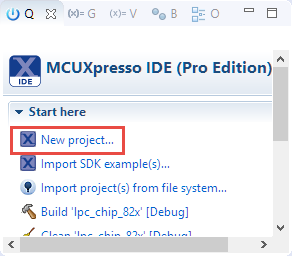 Unfortunately In the MCUXpresso I didn't find the "watch time" function, so I can't figure out is the T_instruction assumption is it correct or not, and where is the error. Could you please help me to find out what is wrong? You need to consider the overhead of your function call, plus because your counter is volatile it adds more overhead for each iteration. Thank you for providing that link so I can pass it to students who want to get that board!